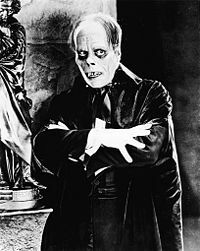 In the English-speaking world, he is best known for writing the novel The Phantom of the Opera (Le Fantôme de l'Opéra, 1910), which has been made into several film and stage productions of the same name, such as the 1925 film starring Lon Chaney; and Andrew Lloyd Webber's 1986 musical. 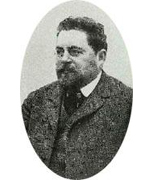 Gaston Leroux was born in Paris in 1868. He went to school in Normandy and studied law in Paris, graduating in 1889. He inherited millions of francs and lived wildly until he nearly reached bankruptcy. Subsequently in 1890, he began working as a court reporter and theater critic for L'Écho de Paris. His most important journalism came when he began working as an international correspondent for the Paris newspaper Le Matin. In 1905, he was present at, and covered, the Russian Revolution. Another case he was present at involved the investigation and in-depth coverage of the former Paris Opera (presently housing the Paris Ballet). The basement contained a cell that held prisoners of the Paris Commune. He suddenly left journalism in 1907, and began writing fiction. In 1909, he and Arthur Bernède formed their own film company, Société des Cinéromans to publish novels simultaneously and turn them into films. He first wrote a mystery novel entitled Le mystère de la chambre jaune (1908; The Mystery of the Yellow Room), starring the amateur detective Joseph Rouletabille. Leroux's contribution to French detective fiction is considered a parallel to Sir Arthur Conan Doyle's in the United Kingdom and Edgar Allan Poe's in the United States. Leroux died in Nice, France on April 15, 1927 of a urinary tract infection. "Think of Me" • "All I Ask of You" • "Masquerade" • "The Music of the Night" • "The Phantom of the Opera" • "Learn to Be Lonely"
This page was last modified on 8 March 2011 at 08:03.